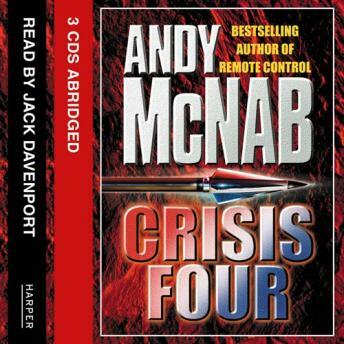 Crisis Four hurtles us into the heartstopping world of violence, betrayal and high-octane suspense. Nick Stone, ex-SAS, now a 'K' working for British Intelligence on deniable operations, is tough, resourceful, ruthless, and highly trained - a master of his trade. As the pair are pursued through the backwoods of the American South, Stone's mission becomes a journey to the heart of a dark and deadly conspiracy - to which only Sarah holds the key. And as the tension builds to breaking point, the two are led to a confrontation that echoes our worst nightmares. In Crisis Four the master storyteller hurtles us once more into his heartstopping world of violence, betrayal and high-octane suspense. Here indeed is a new kind of thriller, so gritty, vivid and menacing that it's hard to tell where fact ends and fiction begins.